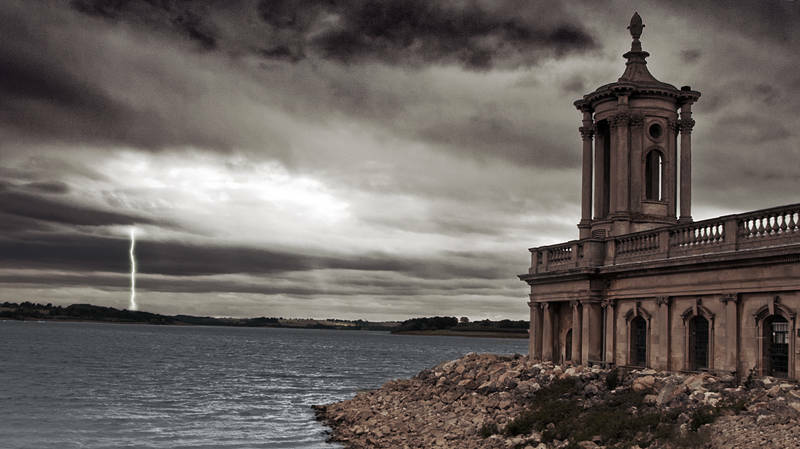 This is Normanton Church on the shore Rutland Water. I used low opacity split toning, desaturation and various blend modes to get the dramatic sky without too many unnatural colours. As all thing are possible in photoshop I added a bit of lightning too. It looks like it could be a scene straight out of Independence Day. Very straight lightning – more like a death ray. The pyramid one was spectacular and believable. The straightness of the lightening seems to be dependent on how sharply you make the white to black gradient before applying this technique.